Looking for an incredible Southern Oklahoma Feral Hog Hunt? Side By Side has an amazing Hog Hunt waiting for you. Side By Side Ranch can promise an action packed, once in a lifetime experience, along with First Class accommodations, meals, and other activities. Mass: Male: 170 – 220 lbs./ Female: 130 – 180 lbs. 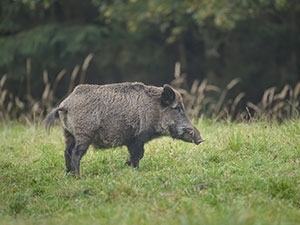 Did you know: Young wild boars depend on their mother for the first couple of months of their life.